There’s only a week to go until To End All Wars arrives on the shelves. After over eighteen months of pretty much eating, sleeping and breathing this book it’s slightly strange to now let it out into the laps of the public. Everyone involved from the creators to the good folk at Soaring Penguin are very excited about finally being able to share it, and in celebration of everyone’s efforts we’ve organised a few launch events that will be taking place around the country. As we mentioned before, on the 30th of July there will be a launch at the Five Leaves bookshop in Nottingham, and will feature presentations by contributors Brick, Pippa Hennessey, Selina Lock and Ian Douglas. On August the 2nd we’ll be opening an exhibition of art from the book at the Pen’rallt Bookshop & Gallery in Machynlleth in mid-Wales. 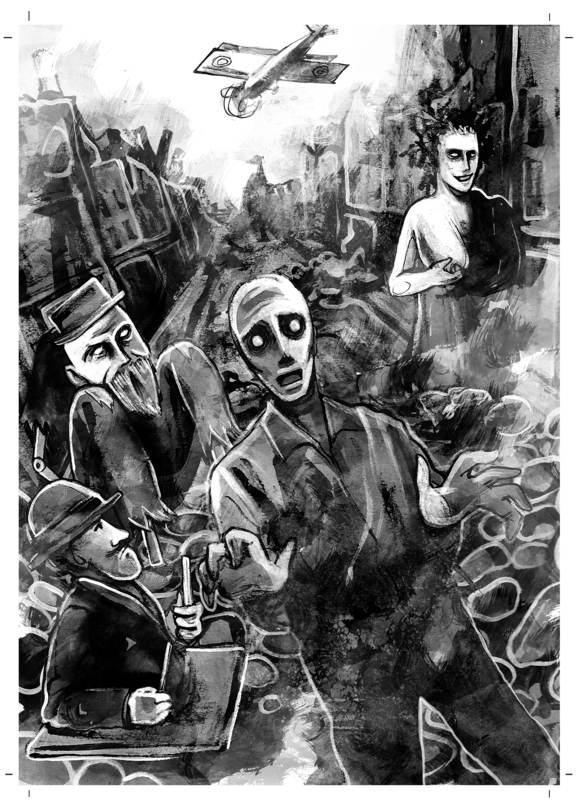 As well as featuring art from the book and the original painting of the cover, there’ll be a focus on Jonathan Clode’s story The Black Chair, which he’ll be introducing along with a reading of the script from local actors. The official launch party will then be held at Gosh! comics in Soho, London on the 20th of August. The launch will be attended by the editors and as many of the writers, artists and letterers as can get there, so please come along! Today also saw a fantastic article published by BBC Scotland that focuses on the Scottish creators and some of the stories that focus on the Scots. More news on the events we’ll be partaking in as we get it! There’s just over a month to go until TO END ALL WARS hits your bookshops and letter boxes. After eighteen months of fairly non-stop work we now turn our attention to the promotion of the book. Our most recent feature appears in Nottingham based magazine Left Lion – a free online and print publication focusing on the Nottingham arts and culture scene. Our thanks to Robin Lewis for putting the piece together, which you can read at the link below. Over the coming weeks and months we’ll be taking part in various launches, talks and exhibitions, the first of which takes place on the 30th of July at the Five Leaves bookshop in Nottingham. TEAW contributors Brick, Pippa Hennessey, Ian Douglas and Kate Houghton are all local to the city, so contact the shop for more information as it’s sure to be an interesting evening. We’ll update the site with more info on the exhibitions and official launch as we get it, but in the meantime you can buy tickets for our talk at this years Lakes International Comic Arts Festival from the nice folks at the Kendal Brewery Arts Centre, or by hitting the link below. One of the exciting things about working on TEAW has been the interest it’s received from the wider European comic community. We mentioned a while back that we had contributed an interview for the Association des Critiques et des journalistes de Bande Dessiné, and this week we got the chance to speak to German magazine Kritische Ausgabe. 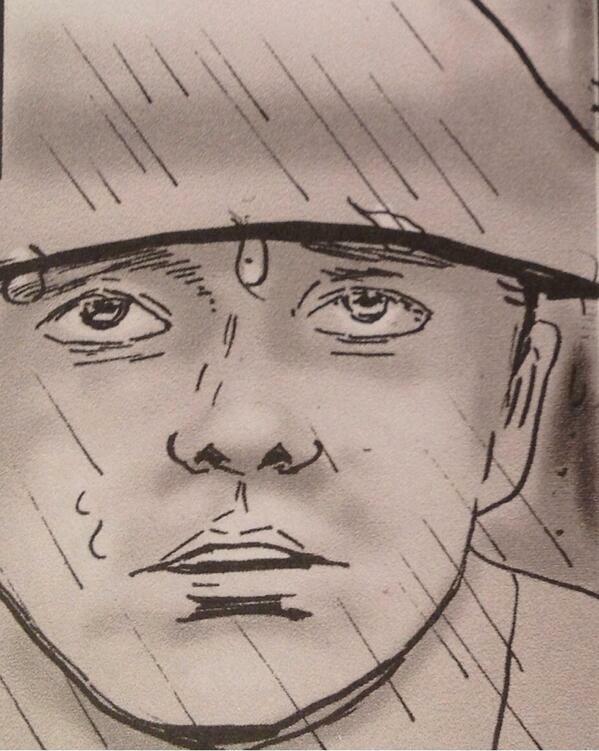 As we discuss in the feature, one of the objectives in TEAW was to depict aspects of the war that people were unfamiliar with. This is certainly true of our latest preview which deals with the impact the First World War had on the colonies in East Africa. Last week saw the release of the line up for this years Lakes Comic Art Festival. We’re happy to report that among the many exhibitions and presentations will be a talk by TEAW co-editors Jonathan Clode and John Stuart Clark. 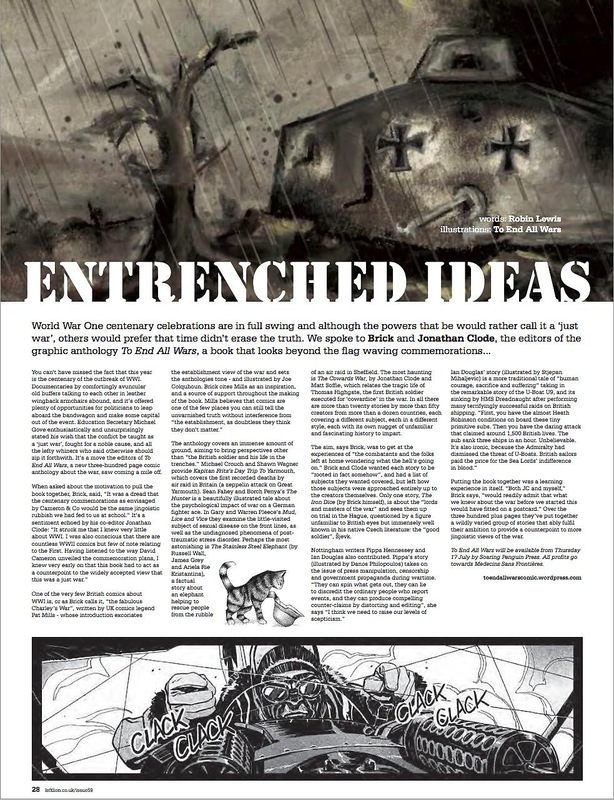 Rather than tackling the subject of WWI itself, their talk will be geared around the editing process of such a large book, with some of the contributing writers and artists taking part as well. 2013’s inaugural Lakes Festival was by all accounts a resounding success and a change to the usual conventions, and we’re delighted to be involved. 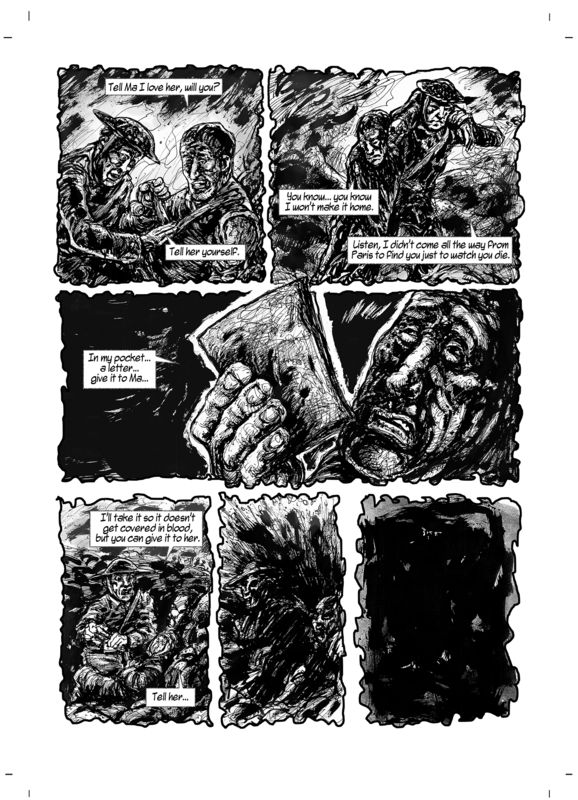 There’ll also be a talk on the Great War in Comics involving John Freeman, Ivan Petrus (Ghosts of Passchendaele) and Charlie Adlard and Robbie Morrison (White Death). The festival takes place in Kendal from 17-19 October. Tickets are on sale now from the website below. As ever, here are some previews from the many stories we’ll be discussing at the festival. One of the joy’s that comes from working on a project like TEAW is collaborating with such a wide range of artists and writers. Our contributors work in a variety of creative mediums and the manner in which they choose to express that creativity is fascinating to behold. With that in mind we thought we’d share with you some of the upcoming projects a few of them are working on. We tip our hats to Jessica Martin, co-artist on Only Remember. 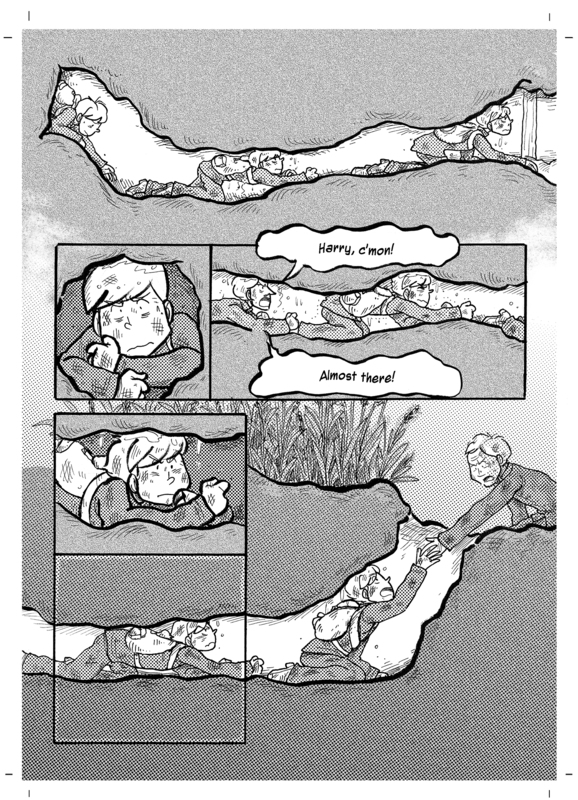 She has made it onto the long list for Myriad’s First Graphic Novel Competition with her recent and as you might have guessed, first graphic novel, Elsie Harris Picture Palace. Brick’s latest offering is for the East Midlands’ Dawn of the Unread on-line and app initiative to encourage library use and reading among young people. 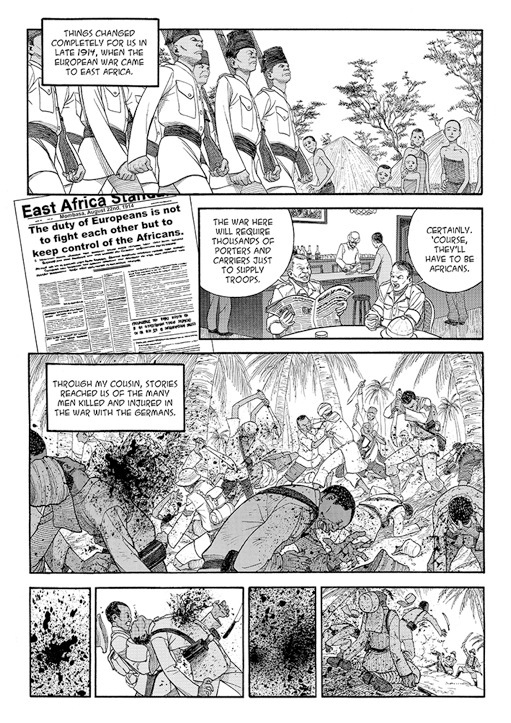 Essentially a handful of deceased regional literary figures (authors, fictional characters, real personalities etc) are brought back from the dead to strut their stuff in comic form. Brick’s contribution is a personal story about The Long Walk, a book he came across when he was nine and busting to escape his boarding school, and its author, Slavomir Rawicz, who Brick bumped into when Slav was a technician at Nottingham Polytechnic in the Seventies. The comic is interactive and there is a short vid of our contributor talking about his working method, using his roughs for The Iron Dice. 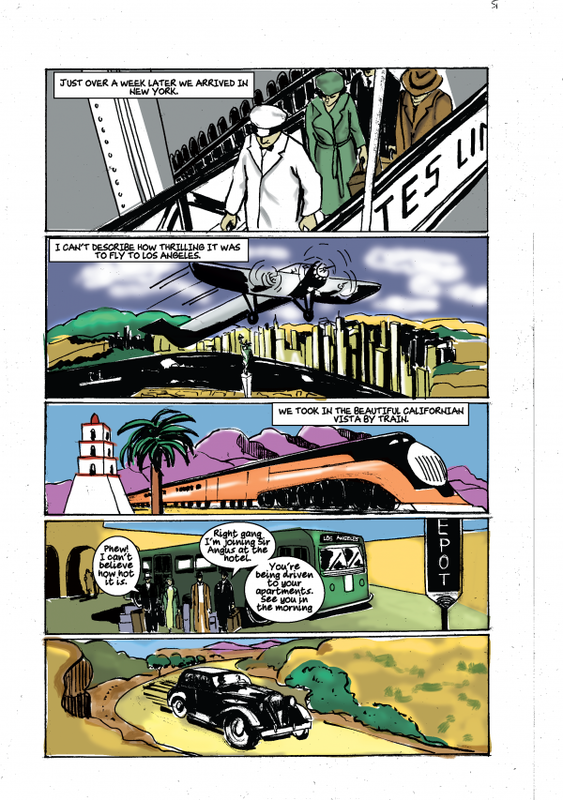 Hunt Emerson and Eddie Campbell are slated to contribute stories later in the year. And just in case you thought it was just comics these fine folk excelled at, Stuart Richards, writer and artist of IL Gatto this week made his stand up comedy debut supporting Frankie Boyle. We shall keep you updated regarding the many other exciting projects our contributors are involved with over the coming weeks. Following on from our feature in The Independent, TEAW has seen an upsurge in interest over the last couple of weeks. Under the wing of Soaring Penguin, the book made a debut of sorts at the London Book Fair where it caught the eye of foreign publishers and even managed to get a galley copy stolen. Not to advocate theft but in a way that’s actually a rather lovely compliment. It’s also been great to see one of our contributor’s featured in the local press. 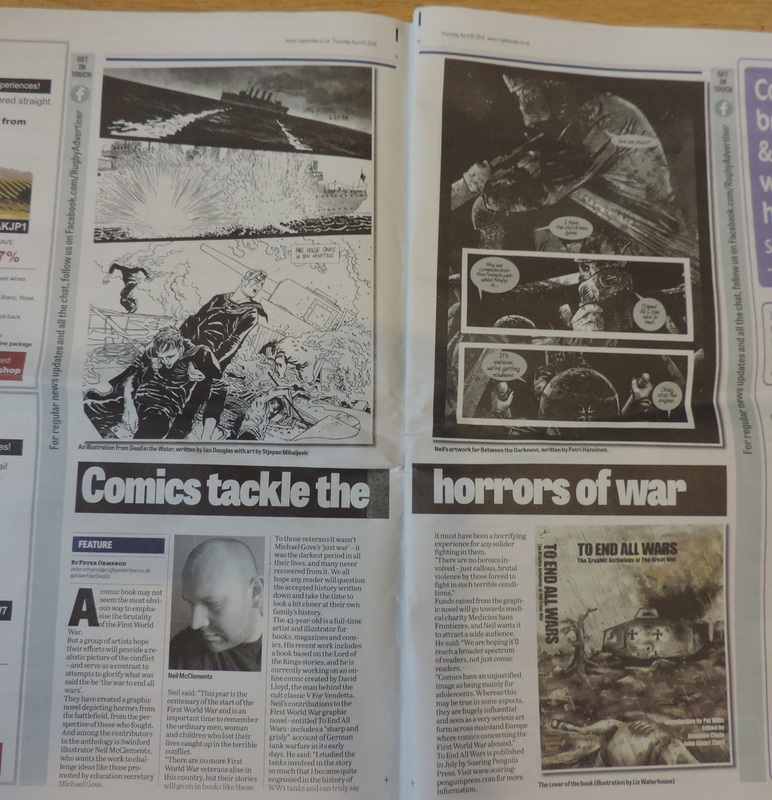 Between The Darkness artist Neil McClements was interviewed as part of a feature on TEAW in The Rugby Advertiser. This not only gives the book and the centenary some great coverage, but it also serves to put comics in the spotlight at a local level and expose people to the incredible talent that dwells right under their noses. 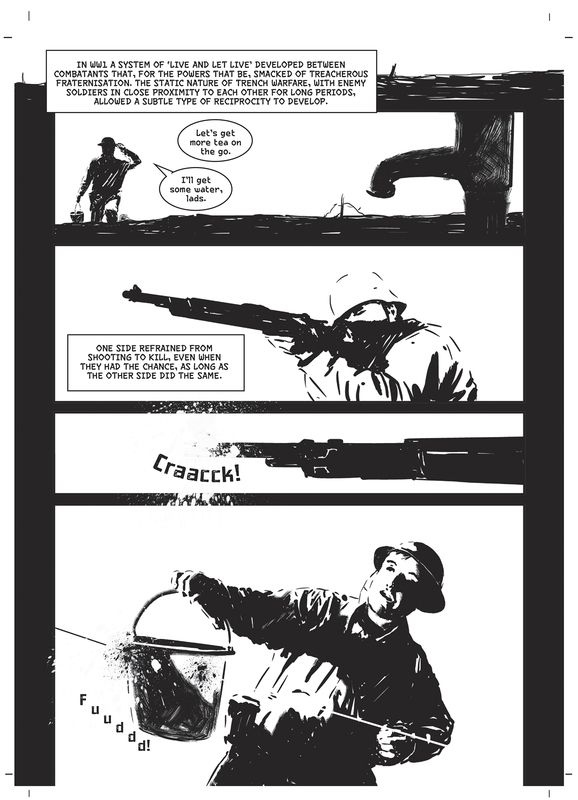 For most of our contributors, this is their first foray into creating comics about the First World War, but S.Martin (sometimes Steve, sometimes Stan) produced a series of WWI comics some years back. We discovered these thanks to one of our writers and were lucky enough to recruit Mr. Martin, the result of which is the fantastic Allies of Reason. The beauty of working with Steve/Stan is that he has no computer and no internet, instead writing letters by hand and sending his art in the post! 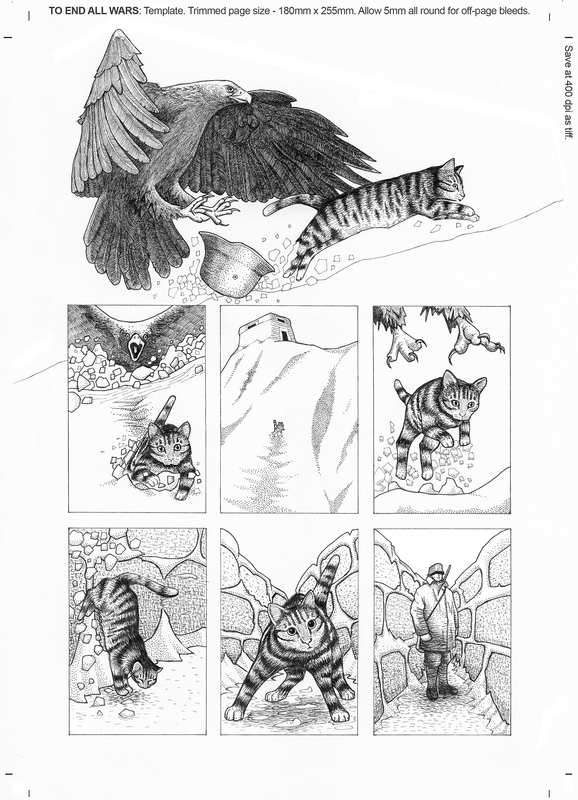 You can see some examples of his work at the link below and you may even still be able to buy a few copies…provided you don’t expect to pay for them via internet banking! 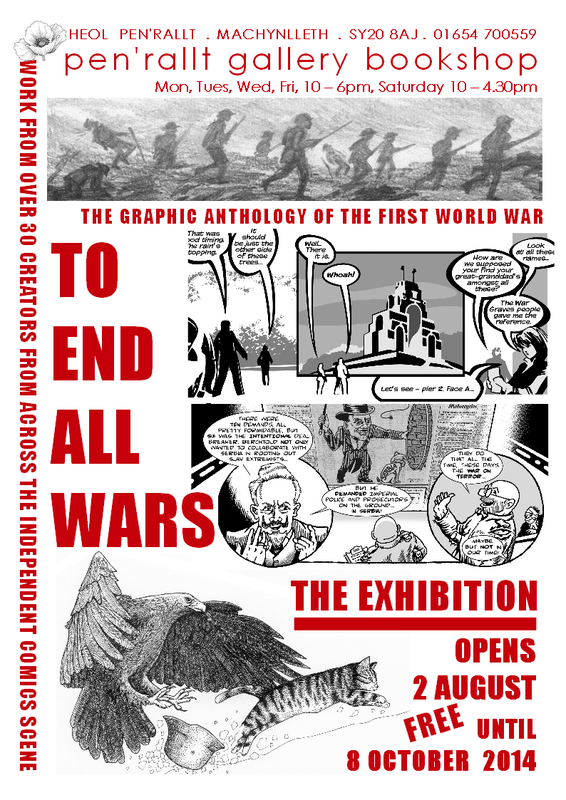 To End All Wars is available for pre-order at various online book sellers and Soaring Penguin are offering the book at a limited pre-publication price of £13.99. There should be more news on the book in the coming weeks as we get closer to the centenary commemorations, but in the mean time here are a few more preview pages. 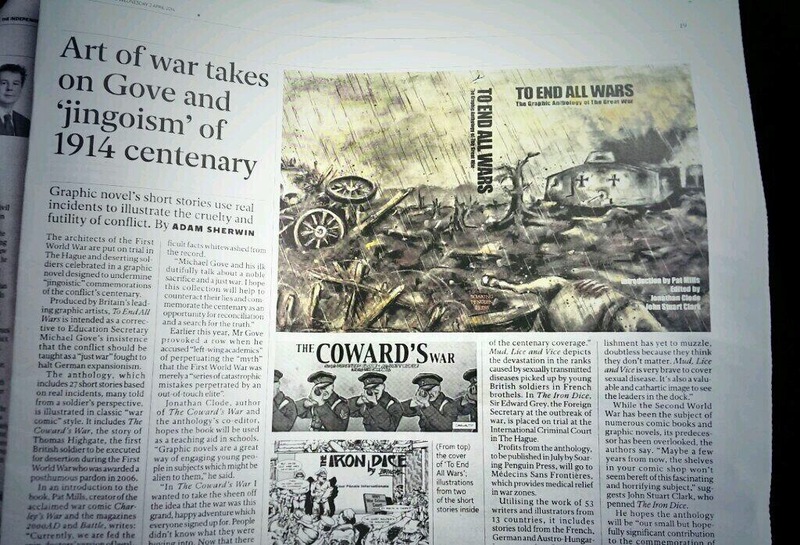 This week saw a press preview for To End All Wars – in The Independent no less. We were fortunate enough to have almost a whole news page devoted to the book in the paper itself, and were placed on the front page of the Independent website. You can read the article at the web link, though of equal interest is the amount of debate it’s encouraged in the comments section that follows it. Thanks to Adam Sherwin of The Independent for the feature and to everyone who’s taken an interest in the book as a result. As ever, we are delighted to share some previews of our own with you from the incredible pool of stories our writers and artists have created.